There is no shortage of hotels catering to tourists and many of them offer all-inclusive vacation packages. Other hotels provide bed and breakfast lodgings, giving visitors a chance to sample the tasty local cuisine outside crowded hotel dining rooms. Keeping the children occupied is a major concern for families visiting Rhodes. 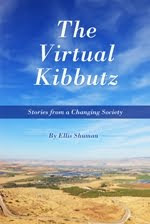 On my recent visit we were a party of nine – six adults, two young children, and an infant. Our hotel - the wonderful Dionysos Hotel - had a lake-shaped swimming pool set in the midst of a lush garden. A pebble-covered beach was just a short walk away. But there is more to see on the island so we set forth, children in hand and a baby stroller following close behind. 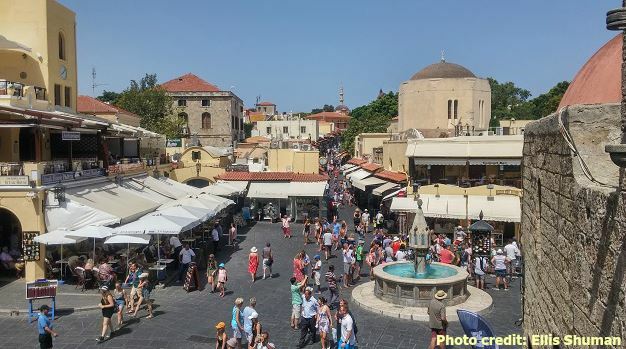 The Old Town of Rhodes is surrounded by medieval walls and filled with shop-lined narrow streets. While there were plenty of shopping opportunities tempting the adults, keeping the children at bay and happy was a bit of a challenge. A short evening stroll and an outdoor meal at a pleasant enough cafe made for a suitable family outing. 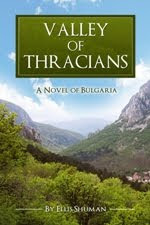 Speaking of dining one thing to consider is that service at the Greek taverns tends to be slow. In order to keep starving children quiet while their parents (and grandparents) wait anxiously for mouth-watering dishes of beef stifado, moussaka, and grilled seabream fish, we came to restaurants with snacks in hand. Most of the island’s beaches are covered with pebbles, which children love to collect, but sandy stretches abound on the eastern coast. Particularly worth visiting is Tsambika. Its turquoise water and stunning scenery make it a favorite for relaxing as a family. 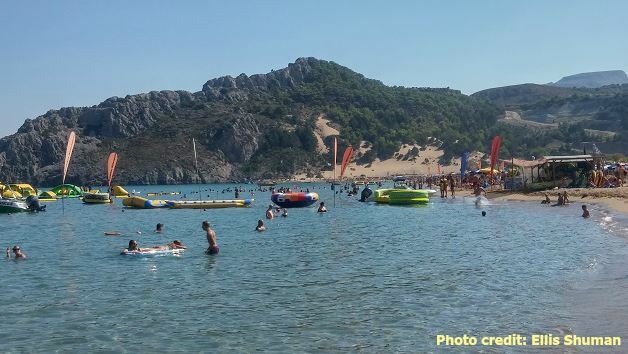 If the waters of the Aegean are not enough, there’s always the Faliraki Waterpark. You can spend a whole day trying out the wave pool, bare-body waterslides, slides with mats, and extreme slides for the truly daring. The park has lockers and changing rooms, ample bathrooms, food and beverage stands, lifeguards, and a first aid station. There's even a train to help you get around. The park is a short ride from the city of Rhodes and a free bus service is provided. 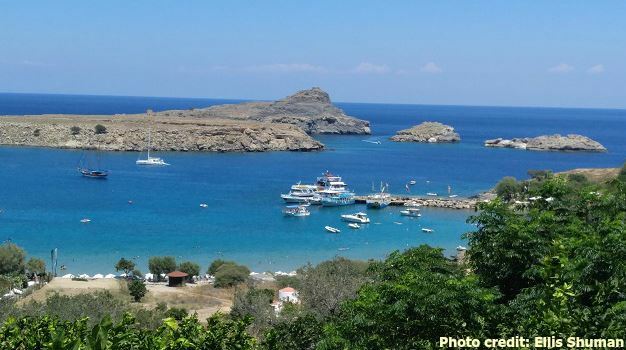 There’s an additional way to explore Rhodes as a family, and that is to take a three-hour, 50-kilometer (31-mile) boat cruise down the coast to the village of Lindos. Located on a picturesque bay and complete with whitewashed buildings, the village welcomes tourists with its many souvenir shops and restaurants, and its beautiful beach. A three-hour stopover is sufficient for the steep ascent to the acropolis but it is possible to take in the views without paying the steep entry fees. Children will enjoy the donkey rides from the pier and back (9 euros one way, but you can negotiate for less). No matter how much time parents, and grandparents, spend catering to the whims of their offspring, it is recommended to reserve some time for yourselves as well. There are nightclubs and bars catering to mature visitors and wandering through the Old Town without a youngster in hand makes for a completely different adult experience. If you’re looking for a relaxing Greek island destination to enjoy as a family, you will not be disappointed with a visit to Rhodes. And there’s also the ouzo!